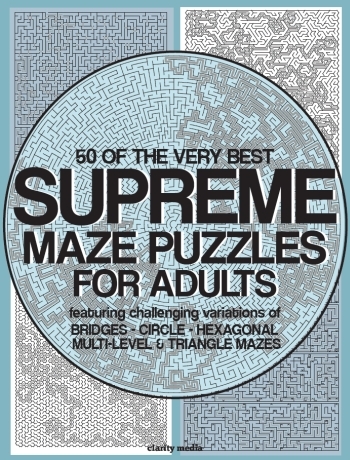 Welcome to this fantastic collection of supreme maze puzzles, for adults! We have compiled our most challenging yet satisfying mazes for you to solve, all in one book! Mazes are a timeless puzzle type that can enjoyed at any age. Fancy taking a trip back to your younger years and reliving the hours of fun you had solving these classics? Look no further! 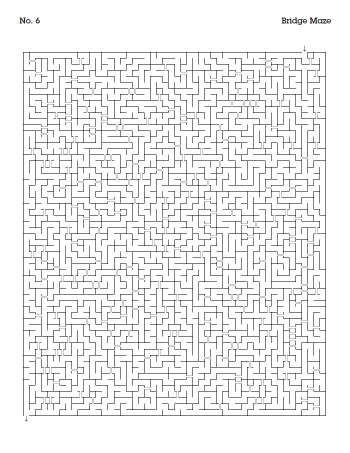 Inside, there are five maze variations with huge full page grids. Some require simple path-finding skills in order to reach the end goal, others will truly test your navigation abilities and challenge even the most experienced puzzle solver. Mazes can be enjoyed by all ages, however for this title we have worked hard to provide the solver with the most intricate and mind-boggling paths which are sure to keep even the most experienced puzzler entertained for hours. How-to-solve instructions are included and solutions are featured towards the back if you need a helping hand along the way.